The saying of not fixing something that isn’t broken doesn’t tend to get tossed around a lot in the game industry since experimentation can be the key to success. In the case of the Valkyria Chronicles‘ franchise however this type of experimentation has led to some rather odd results. After a successful first game that was even remastered and released once again on current consoles the series went on to appear with a PSP sequel and then a third game that was never released in the West. 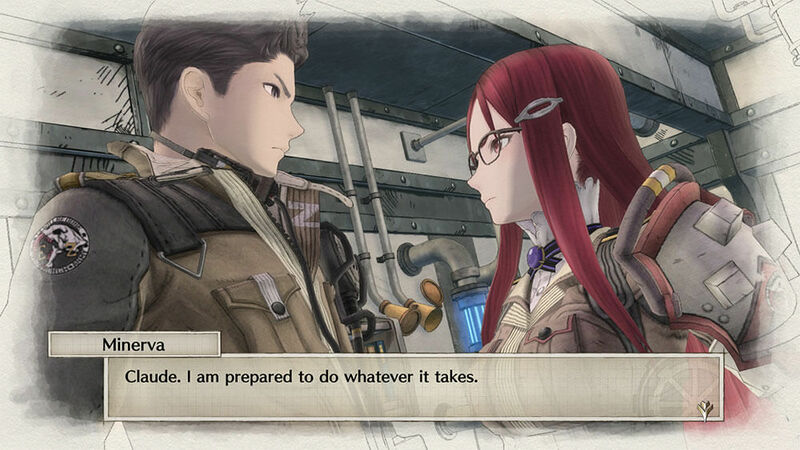 After some further experimentation the series has returned to its roots in Valkyria Chronicles 4 and that saying has never been as true as it is with entry in the franchise. Set during the Second Europan War the story follows commander Claude Wallace of the elite Squad E of the Federation Army. 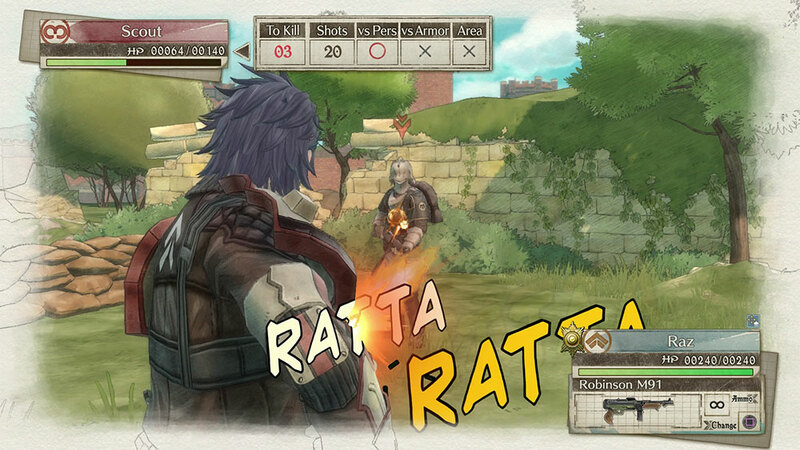 Although Claude and a number of his friends who have also enlisted in the Federation army originally lived in the country of Gallia, players who are unfamiliar with the first game do not need to worry too much about missing out on the fact that these games take place at the same time other than missing out on some easter egg references here and there. With the war raging on the Federation army has continued to suffer losses to the Imperial Alliance and headquarters has decided on making a last ditch attempt at breaking through the Imperial army. Dubbed Operation Northern Cross, Claude’s squadron and nearly every force that the Federation has to spare are tasked with advancing on and eventually trying to capture the Imperial capital. With a seemingly endless supply of foes standing in front of them as they pierce through enemy lines, Claude must do what he can to keep his fellow soldiers alive while still completing the tasks handed down to him by his superiors. Valkyria Chronicles 4 balances the fine line of telling a satisfying war story where players find themselves not truly in control of everything that happens. This is a war and there are more than a few times that players will feel like Claude and his squad are nothing more than a tool being used to complete a mission, even if they don’t happen to always agree with what that mission is or whether or not sacrifices will end up being made to accomplish it. Alongside this bigger picture of war there are also a number of twists and interesting story details that are hinted at throughout the game, with one of the biggest mysteries beginning very early in the title, before their big reveal. Of course not everything is dark and dreary in this game as there are still plenty of humorous moments and “anime” style hijinks that occur throughout the game. There are numerous little side cut-scenes that help flesh out the members of your squad, especially when it comes to Claude and his childhood friends Raz, Kai, and Riley that eventually join his squadron. Romance is fluttered around a bit and players will end up learning quite a lot about their fellow squad members both through their little quirks that determine their potentials as well as special squad stories. These squad stories can be unlocked by using various side-characters numerous times together in a mission and while not every character appears to have a mission like this, it is interesting to learn more about why some of these characters act like they do and the history behind their quirks. These squad stories play out through a number of cutscenes culminating in a battle using the units that the story focuses on, though be careful since soldiers can die permanently if poorly handled, potentially ruining some side stories. 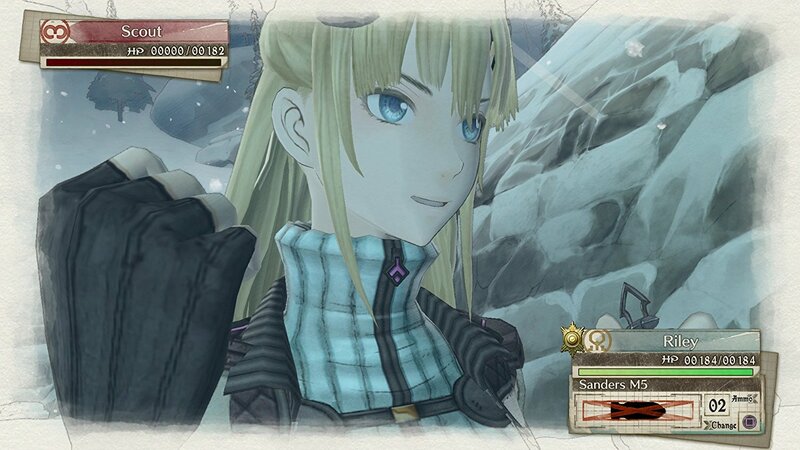 One of the many ways that Valkyria Chronicles 4 remains similar to the original is through most of its gameplay elements. Like the original this entry brings with it a blend of strategy RPG and real-time combat as players will find themselves organizing a squad of up to ten soldiers at a time to take down their targets. Your chosen troops can be deployed in various formations and while most fights require a few specific units, it is entirely possible to complete most fights using your favorite soldiers regardless of their unit type unless you happen upon a fairly frequent spike in difficulty. At the beginning of every turn the player is given a number of “Command Points” where they can use one to select and move a unit around the map with said unit being able to take one action during their turn while moving around the field. While moving it is possible to be fired upon by enemy soldiers and various enemy installations that are close to the unit, making movement something players really need to worry about since interception fire can be deadly. 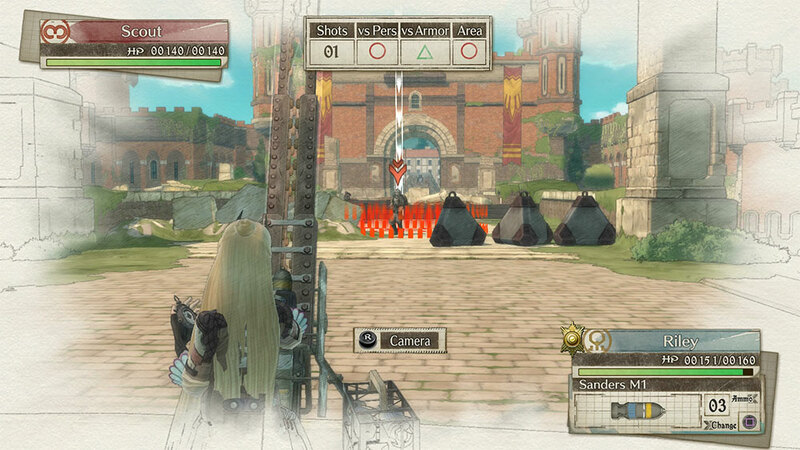 Once the player finds where they want to shoot from, it is as simple as aiming and firing with the selected weapon with the actual accuracy determined by the unit’s stats and where the player aimed. Besides firing their primary weapon units can also use healing items or toss a grenade with specialized Engineers being able to resupply allies with ammo, repair sandbags, and remove mines all without sacrificing their turn. As mentioned, the Engineers serve as the most specialized class due to their nature of repairing fortifications and vehicles (at the cost of a turn in the latter case) as well as removing dangerous enemy munitions while the more straightforward classes are the nimble scouts capable of long range movement, shocktroopers that utilize powerful machine guns and can take a hit, snipers that specialize in long-range combat, Lancers that wield bazooka style weaponry that can deal heavy damage to tanks and enemy installations, and a brand new class, Grenadiers. 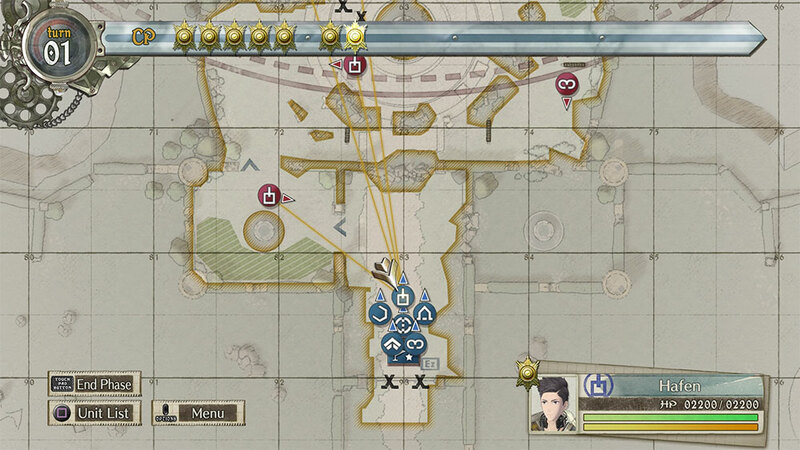 Grenadiers are something of a special case in Valkyria Chronicles 4 as they allow for long-distance high damage dealing potential. Working as a mortar style unit Grenadiers can only target enemies that are either within their sight or are spotted by another unit and can then launch a powerful explosive at them from a distance. They can also launch smaller grenades through the use of interception fire, making them a powerful new force on the battlefield. That being said, the opponents can also have grenadiers on their team and they can make for a rather deadly force that you’ll need to keep an eye on and potentially pick out with either a sniper or your own grenadier. Players also have the option of using Orders at the cost of CP where Claude can provide various boosts to an ally unit, heal them, or even call in a medic for a downed unit to remove them from danger and potential death. Further into the game players will even gain access to Ship Orders that open up plenty of new ways to work around your units. As mentioned earlier, each unit has various potentials that can raise or lower certain stats and learning to manage these units to your benefit can really make or break certain battles. This is especially true in the case of certain characters liking one another or not. Keeping friendly soldiers together will allow them to provide back up firing, where more than one unit can fire at a target at a time, and allow for players to turn certain areas into complete kill zones for enemies on the move, especially if you keep them behind critical hit negating sandbag cover. Playing to these strengths may seem like a way to easily blow away certain enemies but the simple beginnings of the game that tend to feel a little slow just serve as a way to prepare players for the difficulty spikes that occur throughout the game. A number of times Claude and his men will enter a battle only to have the circumstances change halfway through the fight, changing the objective and occasionally placing your soldiers on their heels. This can make for some difficult fights but in a way this makes sure to keep players on their toes and keep things feeling fresh, especially since a good challenge is always something to keep a player invested. There is also the option to save during fights, potentially leading to some dangerous situations where you may have no chance to back out of, but it is useful in a number of ways as some battles can be long and, at least in a couple of cases, the game can crash and force players to start a fight over again. It is worth noting that outside of combat players can use experience and research points earned during battle to level up their unit classes, powering each soldier and unlocking potentials for every member of that class, as well as unlock new weapons that can boost accuracy, rate of fire, damage against certain types of foes, as well as bonuses to equip to your vehicles. 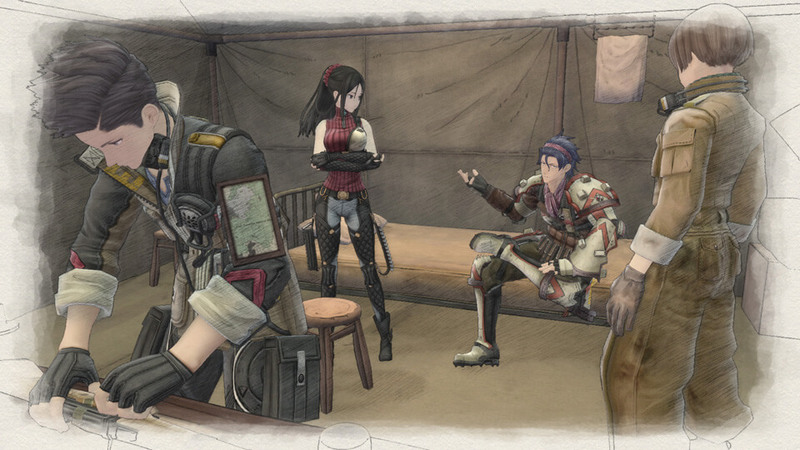 Once again Sega has made sure to keep the sketchbook aesthetic of Valkyria Chronicles alive with this entry in the series with the cut-scenes all presented with gorgeous looking character designs for the main cast as well as most of the side characters. In fact, there is even a section of the game that takes place during a wintry season that gives the cast a chance to wear extra outfits. It is worth noting that while the core cast is designed incredibly well and animated fluidly, random enemy soldiers and background NPCs are presented in a faceless bland manner which can ruin the look of the game sometimes, especially with almost all enemies having the same appearances that match their unit class. It is worth noting that the environmental designs are nicely handled in a way to simulate the European landscapes that the Europa war wants to emulate. That being said, the pathing in the game can be a bit difficult at times with characters often getting caught on random elements in the field that they should be able to pass. The background music is handled quite well with a number of great tracks mixed throughout the game as well as some incredibly well done vocal tracks. It is worth noting that the background radio chatter can occasionally be a bit off from what is actually happening in a fight but this is only a minor note as, otherwise, the English voice acting is nicely done. 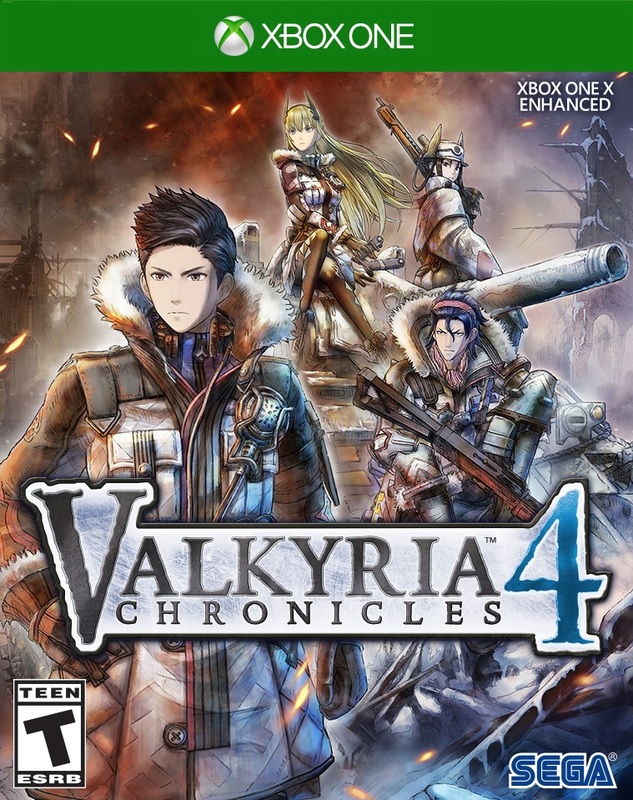 Valkyria Chronicles 4 feels like a true sequel to a series that has stumbled ever since it found initial success. By following a brand new story set during the same events of the first game, longtime fans will be able to easily pick up the game and continue to follow the plot while newcomers won’t feel like they are missing out on core details by jumping in this late into the franchise. By offering new gameplay elements that only help refine the already impressive combat mechanics and a solid storyline that lasts for a satisfying while, players will see that Valkyria Chronicles 4 is everything a fan of the franchise could ask for. By improving upon previous features and not changing what wasn’t broken, Valkyria Chronicles 4 feels like a true sequel that fans have been waiting for.